Well I started growing lettuce almost about two weeks ago, but know I've seen that the seedlings are like flexible or I don't know how to explain is that normal. Anyway here is a pic. And I have a little question about some basil. How much time for transplanting?. Most people call your lettuce leggy or spinnly. It's caused by not enough light. 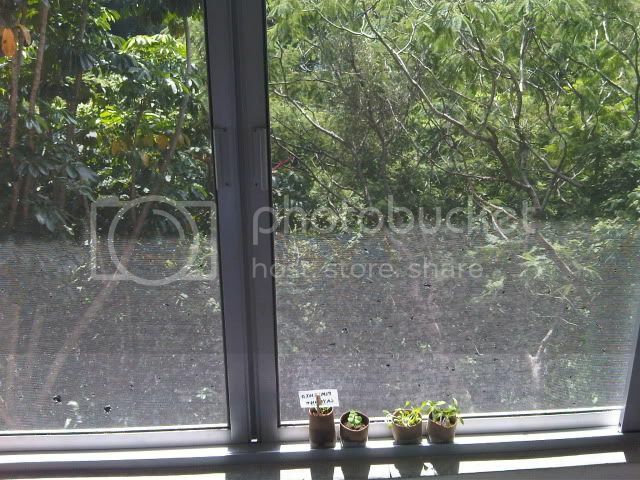 I would seperate the little seedlings and plant them deep. Maybe a 1/4" below the cotyledons. This will help support the stem, but will not grow roots. Your basil looks good. I would transplant anytime now, sense it has true leaves. I see salads in your future. That is really weird...here in Mexico it's reaally sunny the get sun light from 9 am to almost 6 pm....So, can I transplant them? 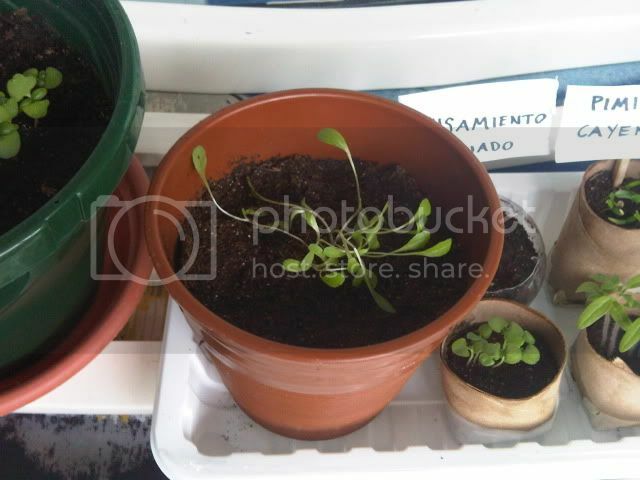 to like a little pot and do you mean that I have to put more soil so that it's closer to the leaves?. 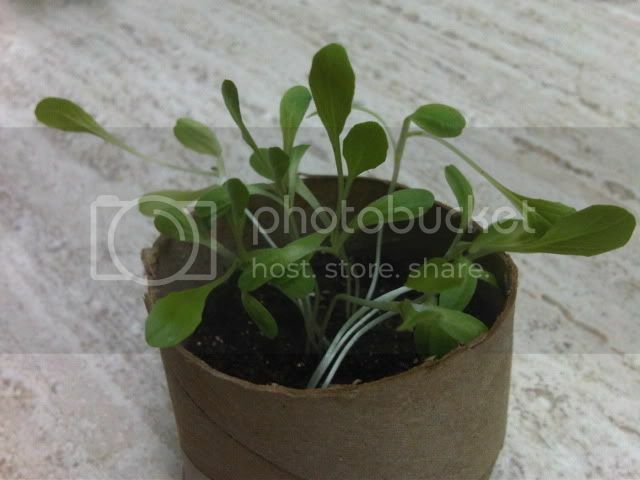 I personally would transplant each little lettuce plant into their own 4" pot. I like the 4" plastic nursery pots. They are usually free and easy to come by. Some like the biodegradable manure pots. Most dislike the peat pots. Will these plants eventually go outside or into a bigger pots and grown indoors? Indoors, I have them in my terrace. For every seedling I will have a lettuce? haha sorry I'm still learning about all of this, I'm also considering the room I have. If the critters don't get it, you'll have a head of lettuce for each seedling. Up-potting to 4 in. pots is good for now, but you'll want to go larger when you put them out on the terrace as they'll need that to get bigger. I'm not sure what your light-intensity is like, but if it's weak or diffused, you could consider using a grow light. This can be something as basic as a 4 ft shoplight with 2 6500k bulbs in it suspended shortly above the seedlings. The basil looks like it's good to go. I don't think I need any lights that's why I said I think is really weird that my lettuce is lacking in sun light. 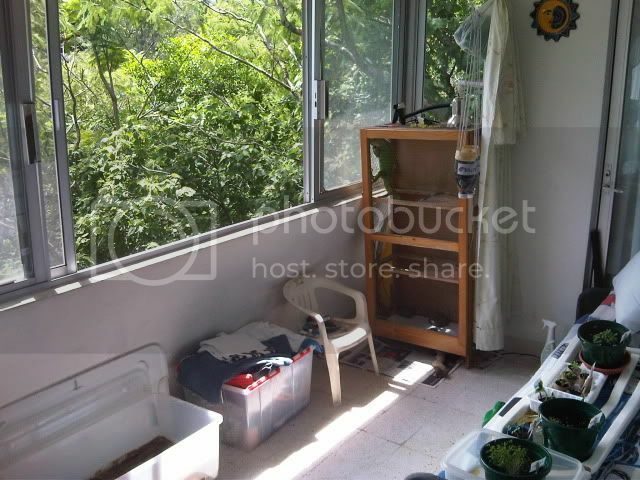 Here is a pic of my terrace, that's the way it looks with the windows open, but I put my seedlings like in the second pic all day so they can take advantage of the sun. Closed and with the seedlings. Another thought. Maybe you didn't have enough soil in the pot. They had to climb out to the light. Even the seedlings in my greenhouse get leggy at times. I just plant the seedlings deeper, when potting up. Growing the lettuce to maturity. I would recommend at least a 1 gallon pot per plant. Ok I've come to the conclusion that I will transplant the seedling to a bigger pot since that was just for them to start so that's what I'll do. But I have one more doubt, when I transplant them since they're still little I can't put compost but in the future when I want to add compost how do I do it? just sprinkle over the top or how?. Sorry but maybe I am nervous because I'm a beginner but I got desperate and I transplanted the lettuce into a little bigger pot, and then I will transplant it again when it need some more space. Tell me how does it look or if I reaaaally blew it. Well, you don't want a lot of compost when you are container growing as it can make the soil "heavy" and impede drainage. If you want some compost, mix a little into the soil before you pot-up. 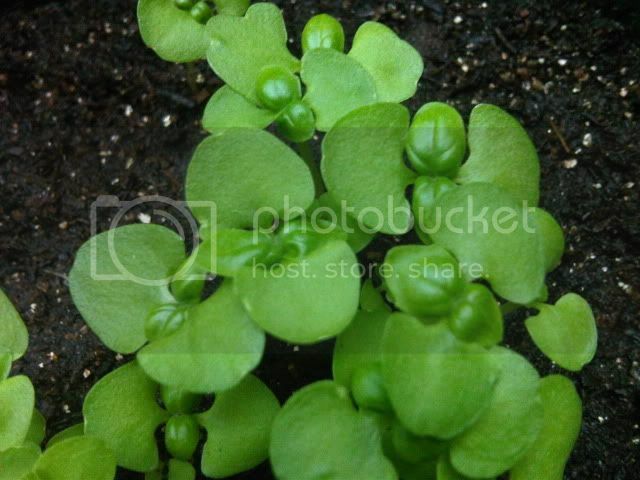 Looking at your pic, it looks like you have a cluster of lettuce seedlings together. I'd thin them as they grow, eliminating the smaller, weaker looking ones. Yes I've been discarding some of the seedlings that are like laying in the soil. I ended up adding only soil to the pot, and when I transplanted some of the seedling kinda broke and I discarded them. I did well?, or kinda. The ones that are spindly and lying flat on the soil are damped off. It's a fungal disease that little seedlings are very vulnerable too, especially in conditions of too much moisture and not enough air circulation. You were probably overwatering and/or your soil was holding too much water. Once they are lying flat on the soil, they are goners, nothing you can do for them.